Treasures and Collectables for all enthusiasts - come along and have a browse! Vintage and Antiques Fair with outdoor car boot. Held 3rd Sunday each month (except April) 10am - 4pm. 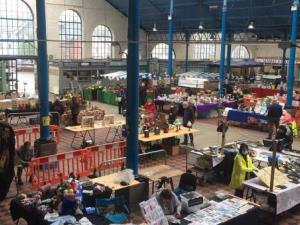 Vintage fayre and antique sellers from around the area with an assortment of collectables to peruse. Cafe on site for refreshments.